. يقدم Brassey Hotel خدمات لا غبار عليها وكل أشكال اللياقة وحسن الضيافة اللازمة لإسعاد ضيوفه. لضمان راحة ضيوفه، يقدم الفندق الخدمات التالية: واي فاي مجاني في جميع الغرف, خدمة التنظيف يوميًا, خدمات بريدية, خدمة سيارات الأجرة, مكتب الاستقبال على مدار الساعة . في الفندق غرف نوم يتجاوز عددها 75، كلها مجهزة بعناية وجمال وبعضها مزود بـ إغلاق, شاي مجاني, مناشف, سجاد, قهوة فورية مجانية. يقدم الفندق العديد من الفرص للاستجمام كمثل مسار جولف - ضمن 3 كم, حديقة. إن Brassey Hotel هو مكان مثالي للمسافرين الذين يتطلعون إلى الراحة والاستجمام في كانبرا. It's very close to start line. The price is the cheapest I found and the service is definitely worthy. They have an excellent gym which has all the new and fancy equipment. Staff are very nice and helpful. I will recommend it to all my running mates. Dear Kaiyun, Thank you for your time in reviewing your stay. I am glad that you had a lovely stay and will recommend us to your friends and family. We are looking forward to welcome you back to the 2019 marathon. Best Regards, Leon Yogaraj. The staff at the Brassey set the tone - friendly, attentive, efficient and clear. They had a laugh with me and checked me in promptly. The rooms were kept perfectly, the bathroom was clean and the shower was a good one. Little things that make a difference. The Ostani bar/restaurant was a short walk which made it a convenient location. Truly enjoyed the experience. Thanks Aaron! Great to read you thoroughly enjoyed your stay with us at the Brassey Hotel. We hope to welcome you back in the near future. It's a renovated old style hotel. Some stuffs don't work as they should. The toilet flush always stucks, you need to keep pressing to release it. The bedside lamps don't match and one doesn't work. They rectified this the next morning though. Staff are welcoming and professional. Room size is good. Toiletries are of good quality. The nicest touch is complimentary coffee at the lounge plus newspapers. The value exceeds the price I paid. Certainly will be back next year. As a frequent traveler for business, I have not come across a hotel with such a comfortable bed. The GYM facilities are impressive. Not many other patrons with lots of space, in a clean environment (all equipment brand new) with pretty much everything you would find in your standard high street GYM. Great locations, close to Realm precinct for dinner and short distance to Kingston foreshore for amazing breakfast by the water. Fantastic value for money overall - highly recommended. Great female staff, very helpful. The pool is across the road at another facility, and was only open 11 - 4. What's the point of that? Shower was hard to get to a good temperature; but as we stayed Christmas Eve we were gifted a box a cookies which was lovely. Staff were very friendly, room was comfortable and parking was awesome. Would go back! Complementary coffee in lobby was a great touch although there is no breakfast actually in hotel (cafe available nearby). It was well placed for the Manuka Oval and the Parliamentary Triangle. 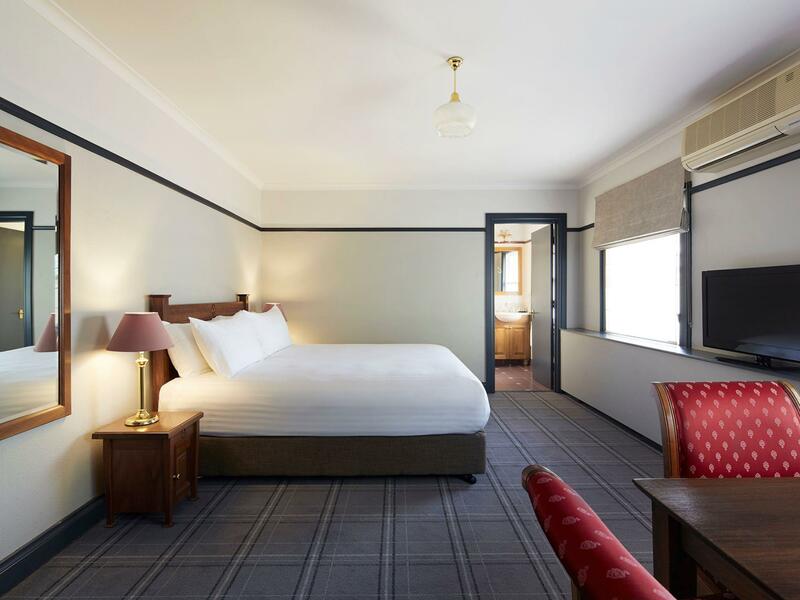 Large room was comfortable and good value.. Kingston and Manuka shops and restaurants were all within walking distance for the moderately active through a pretty park. The Brassey is a lovely historic bae for exploring our nations capital. While it’s not in the thick of it, you are close to some classy restaurants and not far from Kingston and Manuka precincts for bars, restaurants and cafes. I was disappointed that there was no cafe or restaurant to eat at in the hotel. That is perhaps my fault for not reading your website carefully? I don't think it's good enough to have to go outside to another hotel (rain? cold? dark? no car?) in order to eat. I know there is somewhere to have a coffee and a cake but...This was the only negative in an otherwise enjoyable stay. 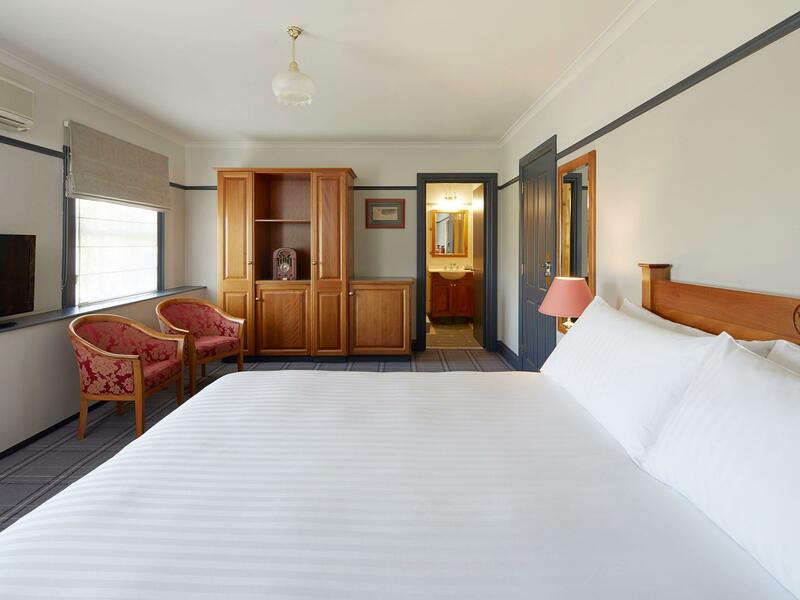 I enjoyed my five night stay and will return when I am in Canberra again especially if I can find the same room rate as I paid on this occasion. I enjoyed the old fashion charm of the rooms but feel a cosmetic upgrade to the bathroom would have been good. Staff were friendly and helpful, Thank you for a pleasant stay at a difficult time. We probably got a special price since it was not a sitting week. So, we stayed here two nights to visit Canberra and could walk to the parliament from here. From downtown, it was easy to get a bus back. Thus, a great location. The hotel was quiet, clean, with good beds. Staff was very friendly and helpful. In total, we had a great stay here! I was only in canberra overnight, so I can't comment on the food or service. 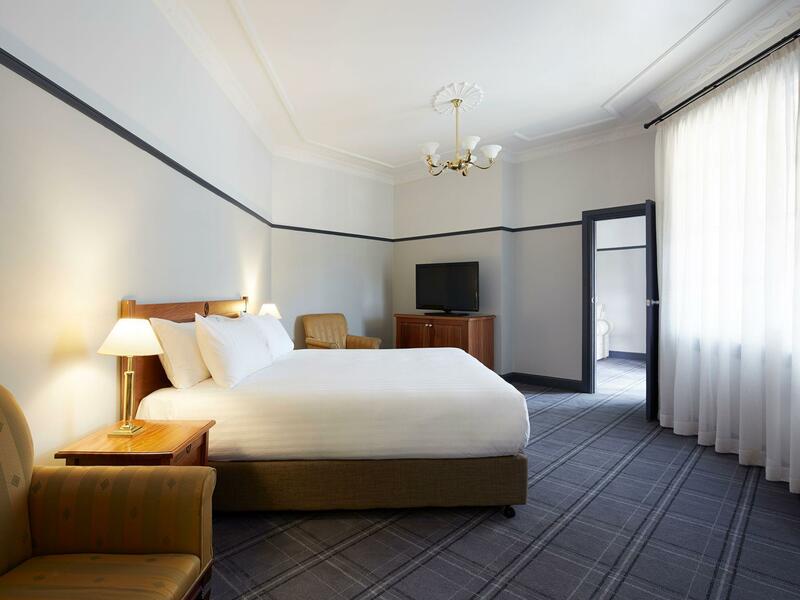 The room was very comfortable, the restoration very sympathetic to the post war era, the location and parking ideal for my reunion in griffith but the best was the very comfortable bed. 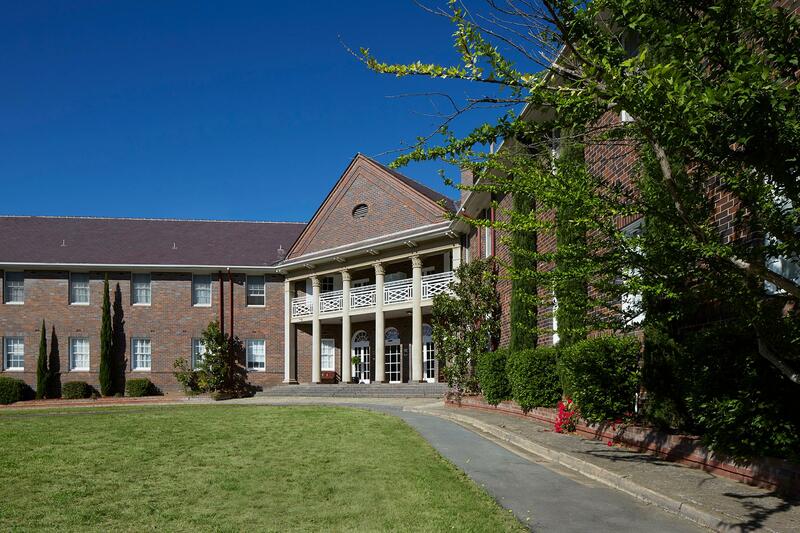 Its a nice place to stay if you're in Canberra for business. they bring you the paper and the staff are friendly and helpful. Maybe not quite the 4 star as things are getting a bit worn out and aged - but the old world charm of the place and the proximity to parliament house and the National gallery make it a convenient and good quality experience. I am a return guest and each time I stay it feels like home. The staff are efficient, friendly and very accommodating. 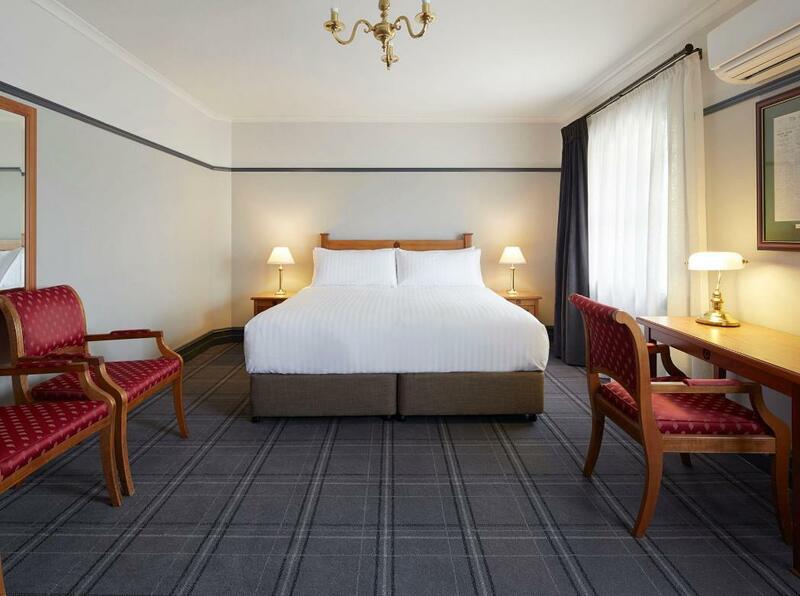 The rooms are basic but well appointed and spotless. The location is great and parking is never a problem. There is a lovely outdoor area to sit in a quiet but central location. The buffet breakfast is very good and the chefs are very accommodating for guest like myself with special dietry requirements. This is not the place to stay if you like a modern concrete and steel hotel, The Brassey has the gracious ambience of a country guesthouse. I thorougly enjoyed my stay at the Brassey. Unfortunatey, it was only for one night this time, but I enjoyed my first sound night's sleep in a fortnight. The evening meal in the restaurant was a superbly cooked T-bone steak, roast potato and sour cream and, as usual, the breakfast was brilliant. The Brassey is right inside the Parliamentary zone at Canberra, and you can literally walk anywhere you might want to go. The staff are always helpful and friendly, and I recommend this hotel most highly. We were selected for upgrade and the room was nice. The hotel is a vintage style but very clean. The only thing is it is very far to food and things. Dear hendrik, Thank you for your time in reviewing your stay and we are looking forward to welcome you back in the near future. Leon Yogaraj. Dear Brian, Thank you for taking time to review your stay at Brassey. I am pleased to read that you have enjoyed your stay with us. As we do not have elevators we have some rooms on the ground floor to accommodate any requests, please let us know next time and we will be more than happy to allocate a room in the ground floor for you. Thank you and hope to welcome you back in the near future. Leon Yogaraj.